A coat is an essential item in any wardrobe and thanks to Celtic & Co’s timeless collection of ladies’ waterproofs, sheepskin jackets and cosy duffle coats, you can now find a beautiful addition to your wardrobe that will last a lifetime. Made with the finest quality of natural fabrics, such as sheepskin, suede and cotton, this range features both lightweight waterproof jackets that are perfect for autumn and spring, as well as thick and warm winter coats for women, to ensure you’re snug and comfortable even when snow is likely. 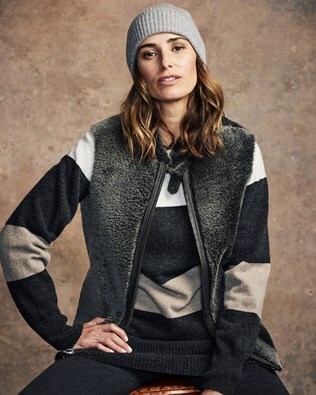 Shop our stunning collection of coats for women from Celtic & Co now. In the UK, wet and windy weather is always a possibility. Be prepared with the Celtic & Co Wax Cotton Cape. Made in Great Britain, this beautiful and practical ladies jacket has been crafted with a 100% waxed cotton exterior and includes a storm flap collar to keep the wind off the back of your neck. For colder weather, why not throw on the Toscana Gilet from Celtic & Co and be stylish and warm from autumn through to spring. Made with 100% Toscana sheepskin, this figure-flattering women’s gilet is perfect to wear over a thick jumper and will provide an additional layer of comfort and warmth. For the ultimate winter coat, choose the Hooded Toscana coat from Celtic & Co. Crafted with long-wool Toscana sheepskin, the design of this beautiful women’s winter coat is not only cosy, with a statement collar and floor length style, but it looks effortlessly glamorous too. If you are looking for a coat that makes a serious fashion statement, the Celtic & Co Curly Coat is for you. 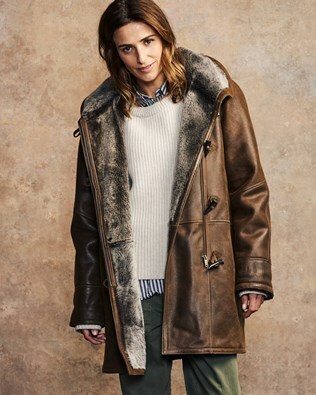 Made with pure Himalayan sheepskin in Great Britain, it is the ultimate piece for seasonal statement style.